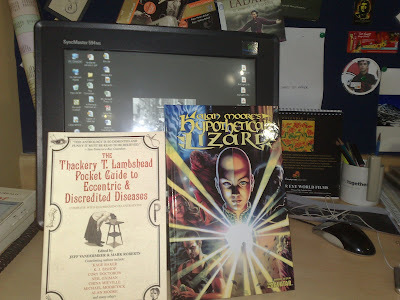 The Thakeray T. Lambshead Pocket Guide to Eccentric & Discredited Diseases. Why in the world would anyone want to keep this great gift a secret???? Some day i will know, and on that day, Anonymous Books-Gifter, you will now too that i know, if you didn’t already know i knew or made it b known to me that you were the one....umm....who be you by the way?